Uzbekistan’s New President Mirziyoyev Is Undoing Karimov’s Legacy. Towards a Rapprochement with Moscow and Beijing? Uzbekistan’s new leader has spent his first year in office undoing his predecessor’s legacy, implementing an Erdogan-like “Zero Problems With Neighbors” approach mixed with a Deng Xiaoping-inspired “economic opening” in order to turn his geostrategically positioned Central Asian state into a New Silk Road powerhouse. Shavkat Mirziyoyev was chosen by the Uzbekistani elite to replace long-running but suddenly deceased President Islam Karimov in early September 2016, with his appointment being legitimized by the people in a nationwide election that December. Contrary to what could have been expected given the country’s severe vulnerability to Hybrid War, the political transition in this “national democracy”went off without a hitch, which demonstrates that the Uzbekistani powerbrokers in the economic, clan-based, and security spheres were able to come to a pragmatic agreement in the interest of national stability. 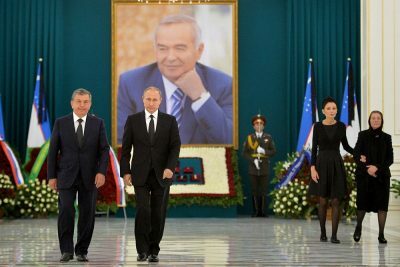 Bearing in mind the political-economic reforms that Mirziyoyev has initiated since entering into office, it can be reasonably presumed that they selected him because they saw an historic opportunity to modernize a rigid system in order to flexibly adapt their country to the New Silk Road reality of 21st-century multipolar geopolitics. It’s with this in mind that Forbes writer Kenneth Rapoze published his well-researched September 2017 piece titled “Eurasia’s Latest Economic Reboot Can Be Found In Uzbekistan”, which does a surprisingly good job documenting the changes that the Central Asian state has undergone since the passing of Karimov. Many of these have gone unnoticed to all but the most astute observers because of the landlocked state’s traditional opacity and the lack of interest that its more mundane developments have generated from most Mainstream Media outlets, but the political-economic reforms taking place in Uzbekistan right now are nevertheless very important in the general scheme of things because they’re positioning the country to become a powerhouse along the New Silk Road. To that effect, Rapoze spoke about two main trends that are guiding the state’s policy in this regard, and the present analysis will briefly highlight the key points that he brought up, add some additional insight to them, and then conclude with an assessment of the Hybrid War risks that could offset the country’s geostrategic destiny. The Forbes writer correctly notes that Mirziyoyev has sought to repair the damaged regional relations that he inherited from his predecessor by visiting three of the four former Soviet Republics surrounding his country and symbolically allowing direct flights to the capital of neighboring rival Tajikistan. What the writer didn’t include in his analysis is that President Putin travelled to Uzbekistan for Karimov’s funeral, and that Mirziyoyev then returned the heartfelt gesture by visiting Moscow earlier this spring. The rapprochement between the two wayward partners continued apace and recently saw them commence their first bilateral military exercises in 12 years. Syncretizing all of these positive moves into a single policy, it appears as though Mirziyoyev is applying Erdogan’s former approach of “Zero Problems With Neighbors”, albeit in a more sincere manner than the Turkish leader did prior to 2011 and without the threat of a “deep state” (in Turkey’s case, Gulenist) conspiracy to offset it. Uzbekistan’s new Turkish-modelled policy is designed to boost its regional standing and solidify its status as a crucial New Silk Road transit state, taking advantage of the fact that the country has Central Asia’s largest population (and therefore market potential) and strongest military. 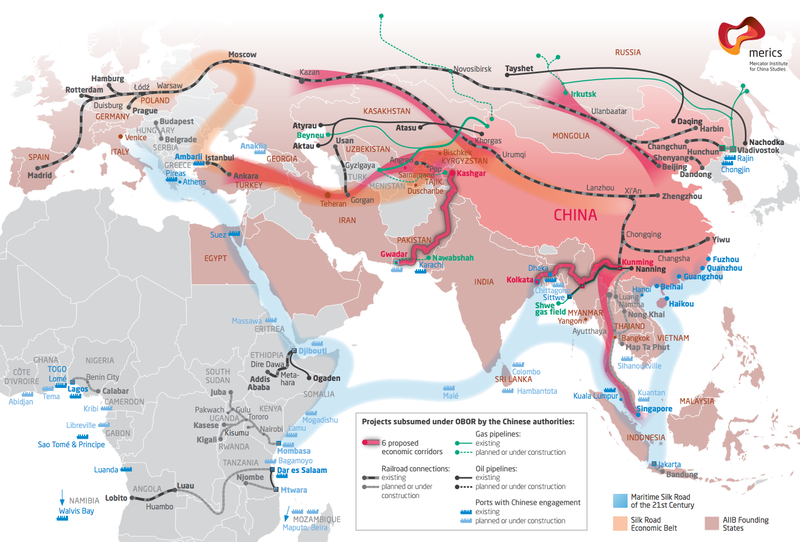 It already provides secure transit for several Chinese-Turkmen pipelines, and could in the future become the central node along a Central Asian high-speed railway connecting the People’s Republic of China with the Islamic Republic of Iran. In terms of north-south connectivity, it could also function as Russia’s gateway to Afghanistan, just as it did during the Soviet era, and should the Central-South Asian state eventually stabilize in the future, then Uzbekistan could become the middleman in facilitating Russian-Pakistani overland trade. Therefore, this strategically positioned country is poised to play an irreplaceable role in competitive connectivity projects, though in order to do that, it needs to reform its monetary system first. Rapoze’s article interestingly compares Mirziyoyev to China’s famous economic reformer Deng Xiaoping in highlighting just how transformational his fledgling presidency is already shaping out to be. The writer notes how the most important domestic structural change that’s taken place thus far in Uzbekistan is Tashkent’s implementation of a currency convertibility system to be fully in place by 2019. This, he remarks, will facilitate foreign direct investment and transition of the “informal economy” into the formal sphere. This move shouldn’t be underestimated by any observers because it lays at the basis of Uzbekistan’s economic renaissance and has the potential to transition from being an agricultural-exporting economy to a more diversified one in providing manufacturing, logistical, energy, mineral (including uranium), service sector, and other capacities to Eurasian clients all along the New Silk Road, be it across the east-west horizontal or the north-south vertical. To explain, the inclusion of previously “black market” activities into the formal economy could instantly improve Uzbekistan’s macroeconomic indicators, which in turn could attract more foreign direct investment that would in and of itself be facilitated by the country’s long-overdue currency convertibility system. Taking into consideration Uzbekistan’s prime geostrategic location and impressive labor-market potential (as derived from its large population), the cumulative effect of all of these reforms would be to position the state into becoming the all-around regional leader, which was Karimov’s vision all along despite the shortcomings in his policy applications. Tashkent’s emulation of Beijing’s late-1970s “opening up” policy pioneered by Deng Xiaoping provides the much-needed stimulus in systematically stabilizing Central Asia by removing the socio-economic risks which had previously made Uzbekistan susceptible to poverty-exploited Color Revolutions and jihadist recruitment. That said, there are also certain Hybrid War vulnerabilities that can’t be ignored. “Oʻzbekiston”, as it’s referred to in the Turkic-related Uzbek language, faces the risk of having its exciting Silk Road future offset by Hybrid Wars and an Afghan conflict overspill. There’s always the lingering and latent risk that an unexpected Color Revolution (potentially “crypto”-Tajik-linked) could develop and transition into a Hybrid War, one that could be exacerbated by a sudden bout of elite infighting/rivalry (possibly between the security services) and which might seek to exploit the country’s clan-based society. This could happen independently or concurrent with an overspill of the Afghan conflict into Uzbekistan’s southern Surxondaryo Region, whether in “hard” terms such as through armed fighters or through “soft” ones such as the dissemination of radical ideologies. Along the lines of the Afghan tangent, Tashkent is thought to have close ties to Afghan Vice President Abdul Dostum, an ethnic Uzbek, who’s an extremely polarizing figure in Afghanistan because of his heavy-handed military methods, and it can’t be discounted that simmering discontent against this de-facto exiled politician might eventually manifest itself in ethnic violence against his compatriots in sparking an Uzbek-Afghan crisis that might tempt Tashkent into a “humanitarian intervention”. The above scenarios are of course speculative but based on reasonable risks and previous political patterns elsewhere, though upon seriously considering them, it seems like the chances of them happening anytime soon are minimal, barring of course some unforeseen events. Accepting that Uzbekistan appears to be stable, albeit still Hybrid War-susceptible, state, there are legitimate grounds for optimism about its future, though provided that it continues along its present trajectory and forthcoming (possibly even political-electoral) reforms are carried out properly. Tashkent needs to ensure that the socio-economic disparity between its majority-impoverished populace and comparatively wealthier elite doesn’t continue to widen to the point where it foments more anti-government sentiment and is subsequently exploited by foreign forces. In the same vein, attention should be paid to the revised power relations between clans and the emergence of new political-economic(-ethnic?) elite following the country’s “opening up” and the rapid changes that this is expected to entail, as an unintended consequence could be that it shakes up the existing power structure in the country and inadvertently destabilizes it. To preempt this, the Uzbekistani security services might follow their Myanmarese counterparts in attempting to regulate this process. Uzbekistan is on the cusp of fast-moving, but not necessarily uncontrollable, change because of the ambitious political-economic reforms undertaken during newly inaugurated President Mirziyoyev’s first year in office. By following in Turkish President Erdogan’s footsteps with his “Zero Problems With Neighbors” foreign policy and learning from former Chinese leader Deng Xiaoping’s economic policy of “opening up”, Mirziyoyev is proving that he and the (largely unseen) powerbrokers behind him acutely understand the need for fundamentally redirecting the course that previous President Karimov had put Uzbekistan on, and this determination couldn’t have come at a better geostrategic time. Karimov was actually very good for Uzbekistan in the overall sense considering the difficult domestic, regional, and global circumstances in which he had to rule, and when remembering the threat that the Islamist-fueled Tajik Civil War and “Islamic Movement of Uzbekistan” terrorist group posed to his country’s existence at the time, it can be said that he tried (key word) to choose the most pragmatic (albeit admittedly very controversial) path possible in all ways, though this naturally had its multidimensional shortcomings and had to eventually change sooner than later. Karimov behaved as a strict steward during the post-Cold War era of unpredictable unipolarity and the early-2000s incipient emergence of multipolarity, which made him a masterful player in the “Balance of Power” rearrangements that were taking place during that time. The late Uzbekistani President, however, was ill-equipped for adapting to the Silk Road Century that China is pioneering through its One Belt One Road global vision of New Silk Road connectivity, and his country would have been unable to properly manage its domestic and regional affairs under these game-changing conditions because of the near-impossibility that he would have had the personal humbleness to essentially admit that his former policies were insufficient for dealing with this new paradigm. Therefore, his passing couldn’t have happened at a more “opportune” time because it opened the door for the country’s elite to finally enact the necessary changes for integrating Uzbekistan into the Silk Road Century as one of its most indispensable states, starting off with a “clean slate” unencumbered by the “heavy (political) baggage” of the Karimov era. Although somewhat belated, these reforms are more timely than ever and being initiated under the “proper” circumstances. So long as Mirziyoyev continues channeling Erdogan in the foreign policy manner through his “Zero Problems With Neighbors” approach and Deng Xiaoping via the late Chinese leader’s economic one of “opening up”, then Uzbekistan has a very positive future ahead of it in the emerging Multipolar World Order, but its security services will need to keep an eye on the country’s Hybrid War vulnerabilities and take a proactive stance in preempting any forthcoming conflicts if Uzbekistan is to retain its Karimov-era stability amidst the exciting and fast-moving changes of the Mirziyoyev period.